The High Court on Monday ordered the State to pay former Guyana High Commissioner to Canada, Harry Narine Nawbatt GY$24.2 million dollars in salaries and GY$500 thousand for breach of contract. Justice Diana Insanally agreed with arguments by the former envoy’s lawyer, Anil Nandlall that Nawbatt was constructively dismissed. Nawbatt’s arguments were that he had been recalled from Ontario in April, 2016 for a posting, but when he arrived in Georgetown, he was given no work, was not posted and was not paid any salary. The High Court Judge ordered the State to pay GY$24,295, 104 million in salaries since 2016 to date. Originally, Nawbatt had claimed GYD$25 million for breach of contract. The State was represented by Attorney-at-Law, Leslie Halls. There was no indication that the State would appeal the High Court’s decision. The former High Commissioner had said on June 8, 2015, Ms. Audrey Waddell, Director General (ag), Ministry of Foreign Affairs, wrongfully and in repudiatory breach of the said agreement purported to terminate the Plaintiff’s employment and wrongfully dismissed him. “I have been directed to inform you that your appointment as High Commissioner of Guyana to Canada will end on August 31, 2015 at which time you will be reposted to Guyana. Accordingly you are hereby asked to finalize all the necessary arrangements relating to the conclusion of your post and departure. Please note that all benefits accruable at post will end on August 31, 2015,” Waddell told Nawbatt in the letter. As far as the termination of the contract was concerned, Nawbatt could have given the Guyana government three months’ written notice. Similarly, the Guyana government could have given similar notice but also required to pay him six months salary and station allowance in lieu of notice. Nawbatt had said that he had been contracted on February 10, 2015 to February 9, 2016 by the Guyana Government as High Commissioner to Canada at a monthly salary of GYD$$773,801, and a monthly station allowance of US$4,500. The contract had also stipulated that he is entitled to a 22½% of the basic salary payable in six-monthly periods or on termination of his Contract of Employment. The former envoy says the Guyana government had agreed to pay costs of primary, secondary or tertiary education of his children. He had been also entitled to free use of a chauffeur-driven car, business class air fares between Guyana and the city of his post for himself, spouse and children under 25 years old n posting transfer between posts and termination of his services. He states that he was also entitled to approved excess baggage charges and cash for unutilized tickets. Nawbatt had also stated that the Guyana government had agreed to pay for the hotel and travelling expenses incurred by him, his spouse and children under twenty-five (25) years of age prior to the provision of free furnished accommodation. When he has to remain in a hotel for a period in excess of two (2) months, he shall be required to meet one-third of the cost of meals taken by himself and family. He had said he had been entitled to 42 days vacation leave or payment of salary, station allowance or other relevant allowances in lieu thereof. 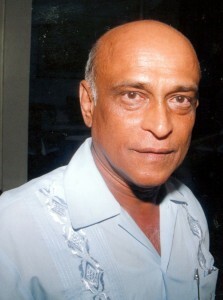 The former Guyana High Commissioner to Canada had said the Guyana government had agreed to reimburse him 66⅔ of the premiums payable in regard to a plan/or plans of insurance provided on an individual or group basis, for medical, dental, hospitalization and post-hospitalization benefits himself, his spouse and dependents provided the insurance is maintained and/or is operative in the country where he is stationed. If no medical insurance programme is available, public funds shall be used to defray two-thirds (⅔) of the cost of medical attention provided for him and his family. Alternatively, the Guyana government will pay if necessary, the contributions payable by the employer to National Insurance providing medical and other related benefits when such insurance is available on the territory in which he is stationed.